Denisov Sergey A. Chalkov Vadim Yu. 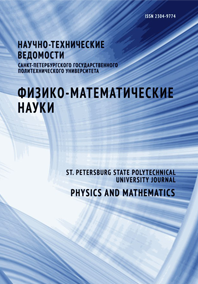 Shengurov Vladimir G. Stepikhova Margarita V. Matveev Sergey A.
Epitaxial SiGe:Er layers on sapphire substrates which have erbium photoluminescence at a wavelength of 1.54 microns have been obtained. The structural quality and the PL intensity dependencies of the layers on the growth parameters were studied.